Mövenpick Hotels & Resorts has announced a sweet touch to weddings and honeymoons taking place in the region. For every $5,000 spent on a wedding at participating hotels in Bahrain, Jordan, Kuwait, Saudi Arabia and the UAE, Mövenpick will give a complimentary honeymoon night at any of its 83 hotels around the world. 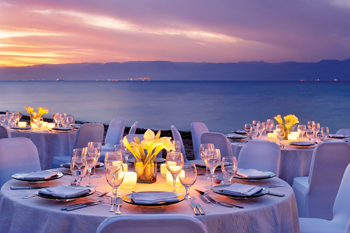 'Mövenpick is well-versed in the organisation, flexibility and imagination that goes into a successful wedding. Our hotels in Dubai and Al Khobar for example, are popular choices for receptions and host around 70 weddings each a year. This initiative is a way for us to draw attention to some of our other destinations and also to thank couples for choosing us,' said Toufic Tamim, vice-president sales and marketing, Middle East and South Asia for Mövenpick Hotels & Resorts. The ‘ISaidYes’ campaign is valid for new weddings booked and celebrated until January 31.